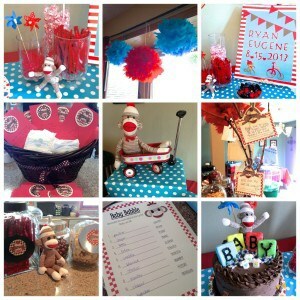 Last week my friends Jennie and Jenn threw the most adorable “Sock Monkey Shower” for our friend Amy. So much work went into creating such a beautiful shower that I just had to share all the details! 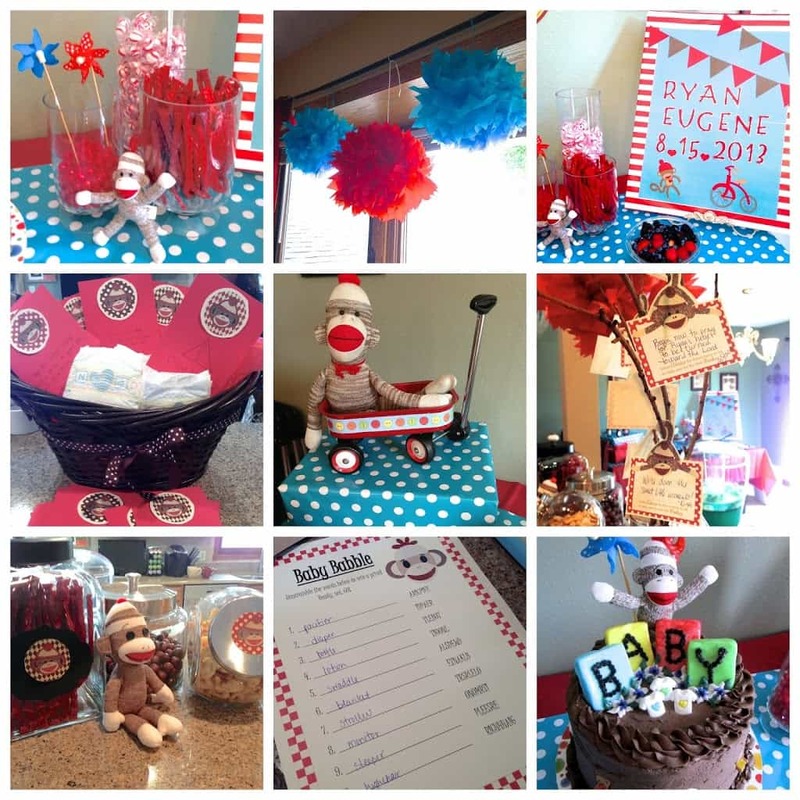 Everything was beautiful in blue and red, even down to the candy table. Baby Ryan is going to be so blessed by wonderful Godly parents and big sister and a community that already loves him so much! 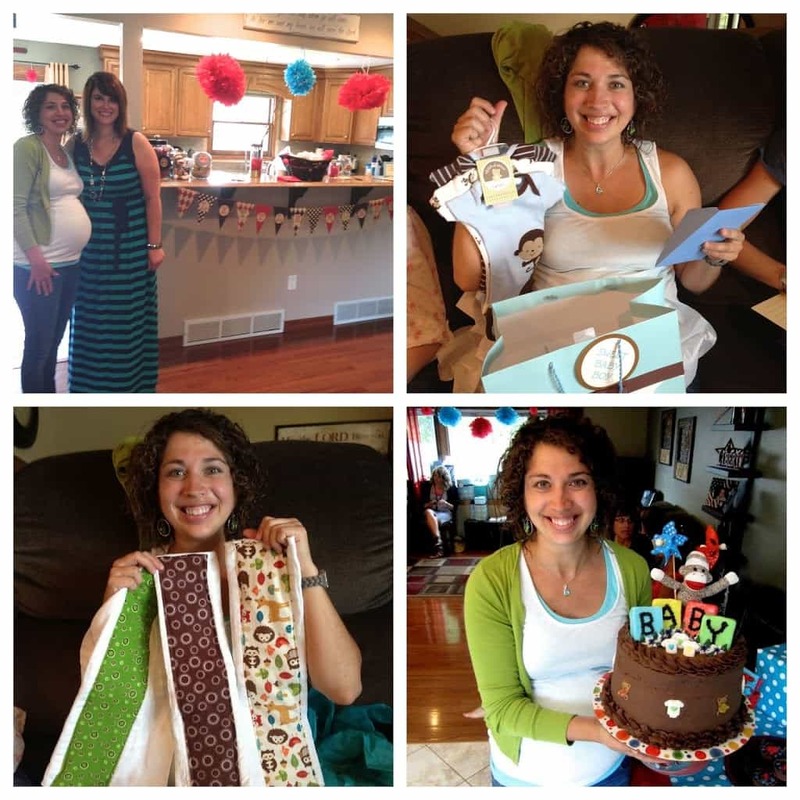 To see a “They’re having S’More” triple baby shower that I threw for a friend, head to this post. 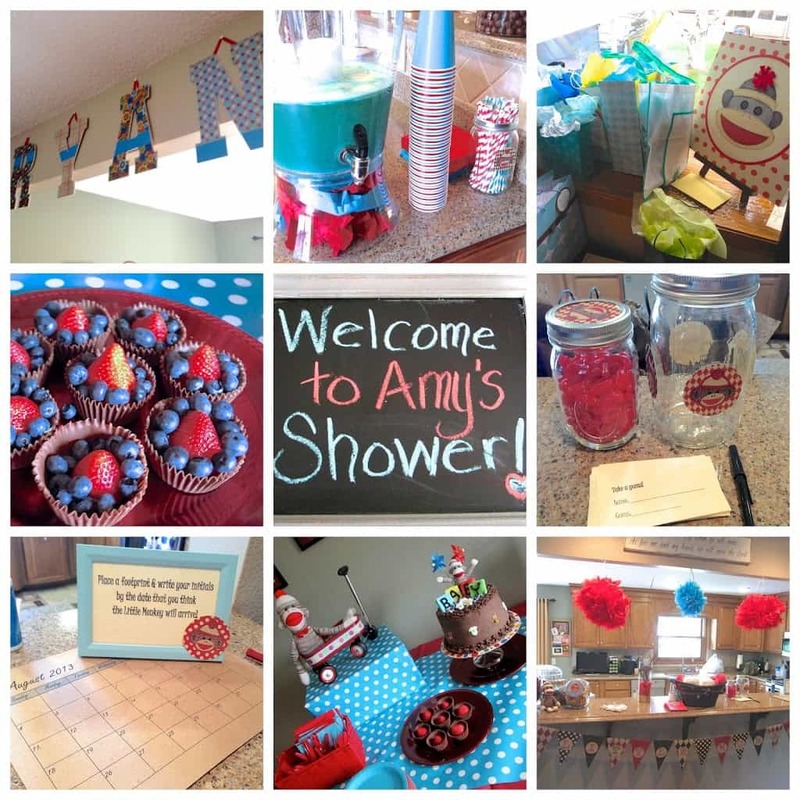 Or for a great “Breakfast at Tiffany’s” shower read the post here.